We have Texas on sale! We have the best and largest selection of Texas fabrics, panels, patterns, and kits. They make perfect quilts for weddings, baby, and a great gift for that graduate going off to college. 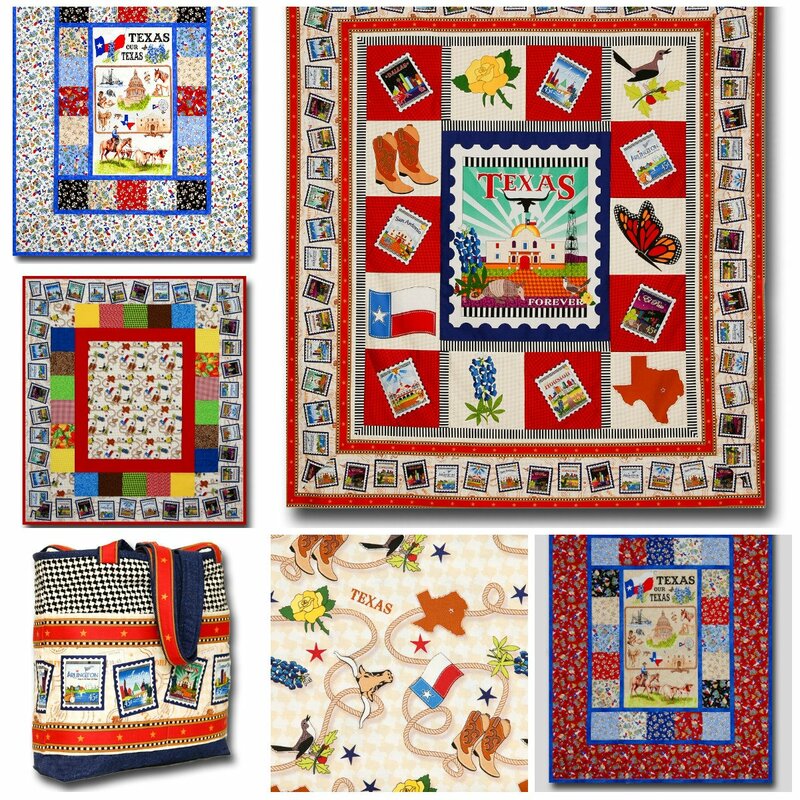 This includes our Four Seam Quilt kits, Texas Baby, Lone Star, and Texas Our Texas kits. Some pre-cuts and fat quarters available. Minimum 1 yard cut off the bolt.